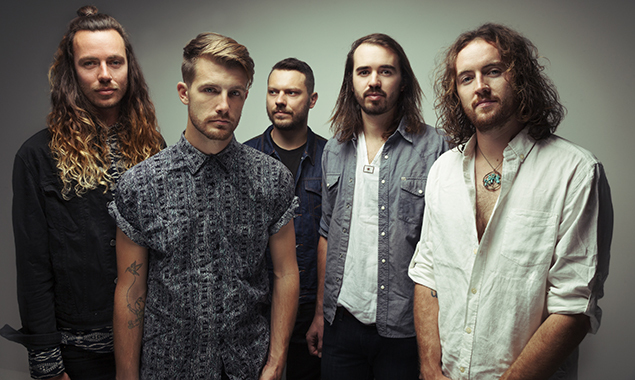 You are at:Home»News»HANDS LIKE HOUSES announce two special underplay UK shows! HANDS LIKE HOUSES announce two special underplay UK shows! HANDS LIKE HOUSES have just announced two special underplay shows in the UK on 27th and 28th October after the EU leg of the tour with Of Mice & Men was cancelled due it ill-health of the singer Austin Carlile. The two dates will see the band playing the new album ‘Dissonants‘ in full. Tickets are on sale now. Dissonants marked the band’s highest charting to date worldwide (#7 ARIA Albums, Top 10 Billboard Independent Albums, Hard Music Albums, Alternative Albums, and Rock Albums) and was well received globally, with positive reviews from Kerrang!, All Music, Tone Deaf, Alternative Press, Outburn and Rock Sound among dozens of others.